• Accessories On SaleCat-themed accessories for people, from jewelry, belts, and socks to handbags & luggage, on sale! • Audio, Video & Multimedia On SaleCat-themed CDs, DVDs, & multimedia products on sale! • Automotive Products On SaleCat-themed products for your car on sale! 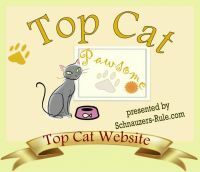 • Cat Books On SaleBooks about cats, on sale! • Cat Clothing for People On SaleCat-themed clothing for people, on sale! • Cat Odor, Stain, & Safe Cleaning Products On SaleCat odor & stain removers, and cat-safe cleaning products, on sale! • Cat Collectibles On SaleCat collectible items, on sale! • Cat Garden Items On SaleCat-themed accessories for your garden, on sale! • Cat-themed Holiday Items On SaleCat-themed holiday decor & apparel, on sale! • Cat-themed Home Decor On SaleCat-themed home decor, on sale! • Cat-themed Office Accessories On SaleCat-themed accessories for your office, on sale! • Cat Toys for People On SaleCat-themed toys for children of all ages, on sale! • Business, Social & Personal Care Products On SaleThings to help old maid cat ladies in their business, social, and personal lives, on sale! & Multimedia products on sale! Cat-themed automotive accessories, on sale! Cat-themed clothing for people, on sale! Cat-themed Collectible Items, On Sale! Dr. Bell Catwell Whimsiclay Cat FigurineGreat for doctors & veterinarians! Home Décor Products on Sale! Cat-themed accessories for your desk & office, on sale! Business, personal care, & social products & services for old maid cat ladies, on sale! the Kitties" products on sale!